Treating certain types of cancer, severe psoriasis, or rheumatoid arthritis in certain patients. It may be used alone or with other medicines. It may also be used for other conditions as determined by your doctor. 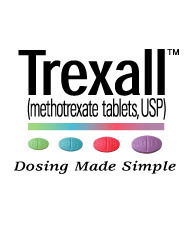 Trexall is an antimetabolite. It works to treat cancer and psoriasis by blocking an enzyme needed for cell growth. This helps to slow the growth of cancer cells and abnormal skin cells. Exactly how Trexall works to treat rheumatoid arthritis is unknown. It reduces symptoms of inflammation (eg, pain, swelling, stiffness) caused by rheumatoid arthritis. Methotrexate is classified as an antimetabolite drug which means it is capable of blocking the metabolism of cells. (Metabolism consists of the production and destruction of important components of the cell as well as the production of energy for use by the cell.) As a result of this effect, it has been found helpful in treating certain diseases associated with abnormally rapid cell growth, such as cancer of the breast and psoriasis. 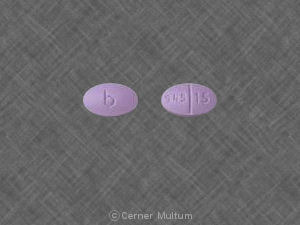 Recently, methotrexate has been shown to be effective in inducing miscarriage, for example in patients with ectopic pregnancy. This effect of methotrexate is attributed to its action of killing the rapidly growing cells of the placenta. It has also been found very helpful in treating rheumatoid arthritis, although its mechanism of action in this illness is not known. It seems to work, in part, by altering immunity, which may play a role in causing rheumatoid arthritis. Methotrexate is used to treat certain types of cancer or to control severe psoriasis or rheumatoid arthritis. This medication works by interfering with cell growth and by suppressing the immune system. If you have psoriasis, rheumatoid arthritis, or cancer, your healthcare provider may recommend a drug called Trexall. This product is similar to Rheumatrex and other medications used for these conditions, except it comes in higher strengths. The medicine comes in the form of a tablet that is taken by mouth. Possible side effects include mouth sores, nausea, and low white blood cell counts.